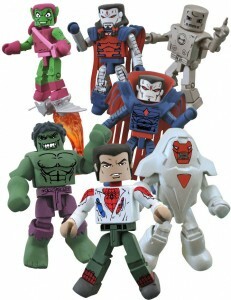 Diamond Select Toys and Art Asylum have announced the eleventh wave of Toys ‘R Us Marvel Minimates exclusives. 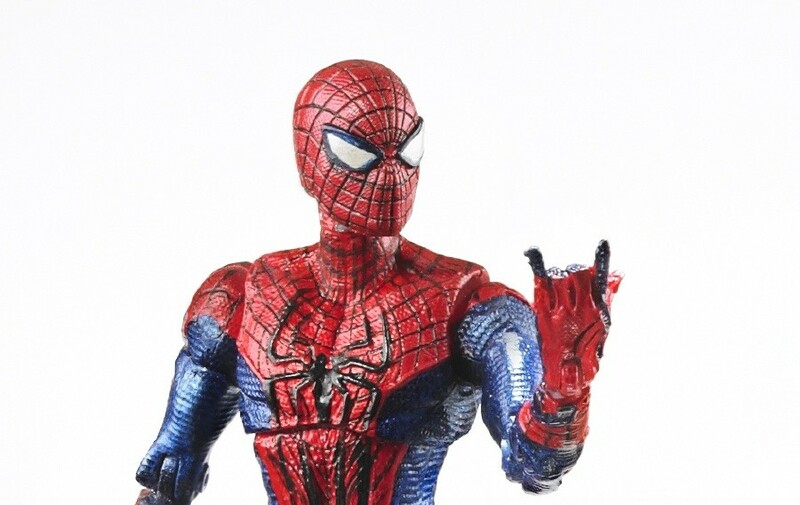 This wave will feature two of the specialty store releases from Wave 41 and two sets that will be exclusive to Toys ‘R Us. 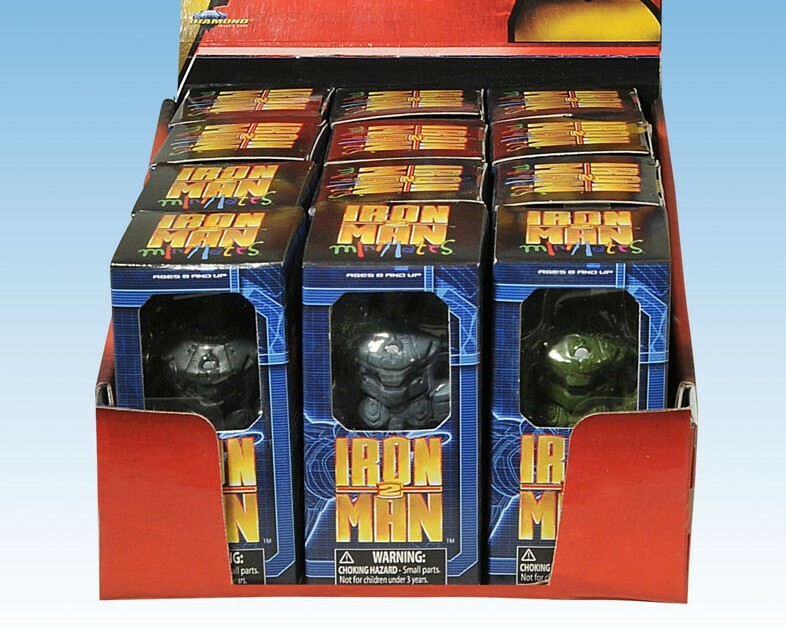 First Appearance Iron Man and Mega-Rage Hulk and Unmasked Spider-Man and Green Goblin with his glider will be the two releases from Wave 41. Nightcrawler and Betsy Braddock and Fantomex and Mr. Negative will be the two Toys ‘R Us exclusives. 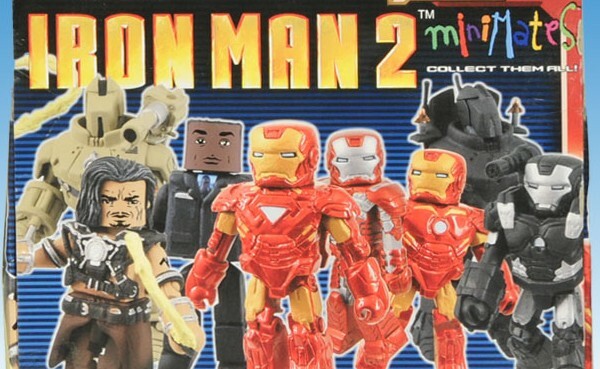 Another wave of Marvel Minimates, another array of classic characters, perennial favorites and ultra-modern noobs! 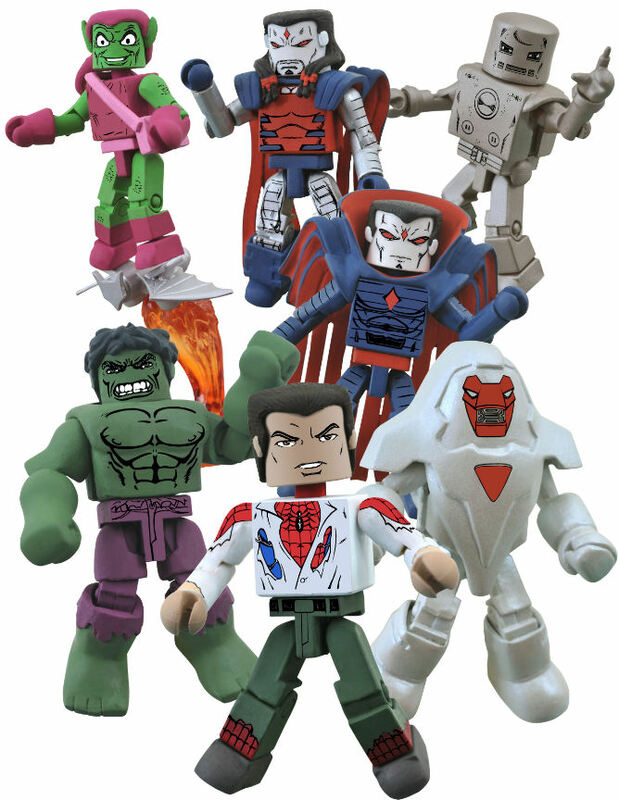 Wave 41 will be anchored by First Appearance Iron Man and Mega-Rage Hulk, one of the beefiest Hulks we’ve ever made, as well as Unmasked Spider-Man and Green Goblin with his glider — re-create the classic cover to Amazing Spider-Man #39! 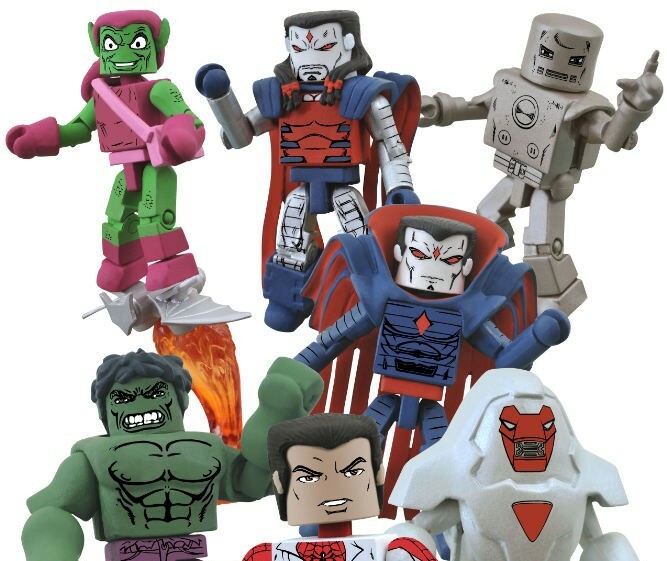 Plus, comic and specialty stores will receive an exclusive set of Mr. Sinister with Nimrod, as well as a variant pack that has Age of Apocalypse Sinister instead. 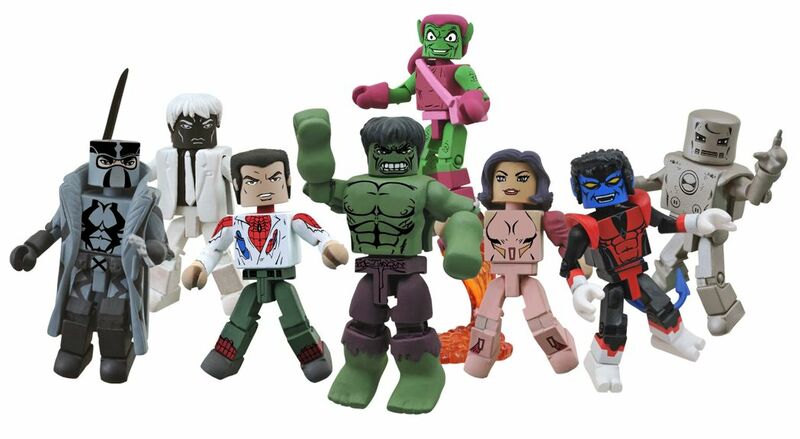 For their 11th wave, Toys “R” Us stores will get Hulk/Iron Man and Spidey/Goblin, but also exclusive sets of Nightcrawler (with bamfing base) with Betsy Braddock (in her classic costume), and X-Force’s Fantomex with Spidey villain Mr. Negative! 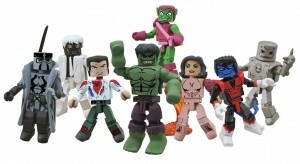 The toys will hit stores in August.